All matter is in motion and so with this motion we will continue to find new ways to apply the proper response to new ideas, and of course new actions will create new reaction. Each of us has to find the strength and opportunity into any area in our life. In this development we become more capable of helping others with the same issues. Today's Chicano nation is at a crossroad. The Raza population is growing faster than any other. In a couple of decades we will be the largest population in the United $tates. We have to understand, whatever changes we experience holds opportunity. In other words, external events often happen as means to facilitate internal change and consciousness. Once the inner connection is grasped, all theoretical belief in the permanent necessity of existing conditions break down before the collapse in practice. I believe that in the independence of each nation is a unity that will help mobilize broader masses, then we begin to understand the importance of windows of opportunity. Chicano power is not simply being in charge. We don't want to mimic capitalism, but merely exercise socio-political, economic power where socialist relations of production replace capitalism. Without the influence of imperialism, we know that imperialism defines crimes and pushes oppressed nations into committing the crimes. Knowing most minority already have nothing to lose, and are well armed, when revolutionized can serve as the fiercest fighters. We were not created by the same social and material forces which govern Mexican life, but by the imperialist venture of the annexation of the Americas. Our existence is therefore not defined by the reality of the border, but by social and material forces that have influenced the way we develop since before and after its imposition. Aztlan represents the land which was invaded, occupied and stolen from the Mexican nation. The southwest is home to many Chicanos, and non-Mexican indigenous nations each with the universal right to govern themselves and exist as a sovereign and autonomous people. Thus the era of imperialism is the era of New Democracy where a democratic struggle must be led and waged by the masses of the popular class in a united front where the primary goal is national liberation. 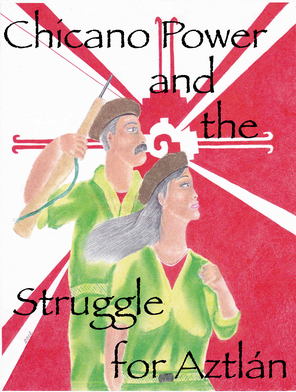 This August we commemorate the Plan de San Diego, which was a plan for New Democracy for the internal semi-colonies of occupied Turtle Island. It is a time to study [email protected] history, and apply internationalism. 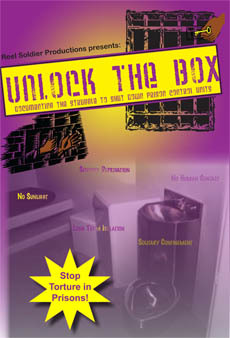 Write MIM(Prisons) for informational fliers on the campaign and submit your own essays and art.